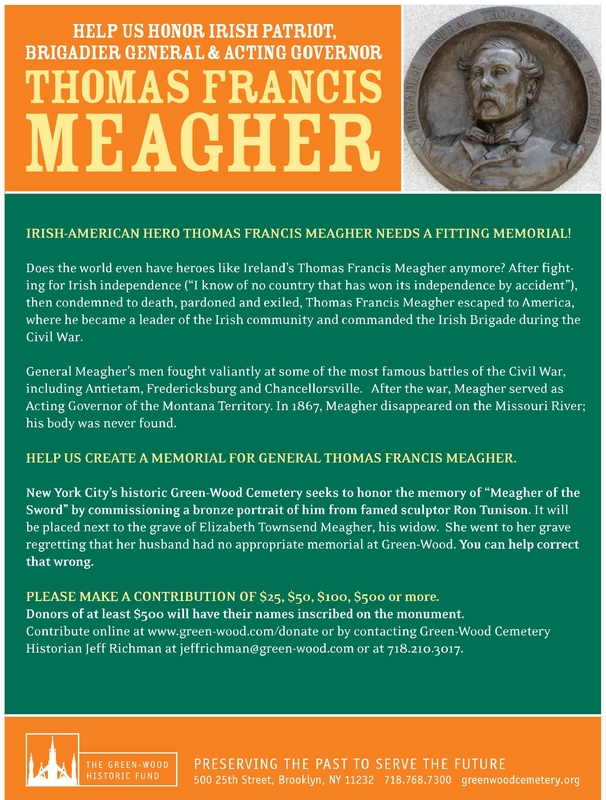 Historic Green-Wood Cemetery in Brooklyn, New York is currently fundraising for a memorial to Brigadier-General Thomas Francis Meagher. A bronze-relief of the leader of the Irish Brigade has been designed by sculptor Ron Tunison, to be placed beside the grave of Meagher’s widow, Elizabeth Townsend Meagher. Following her husband’s death she lamented the fact that her husband had no final resting place. Organisations that donate $3,000 or more and individuals that donate $500 or more will have their names inscribed on the monument in recognition of their support, and will be invited to the unveiling of the memorial. 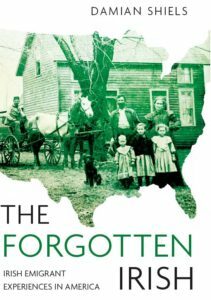 If you are interested in contributing to the memorial fund visit the Green-Wood Cemetery page on the memorial here.